The Challenge: Solar thermal energy industry leader AREVA Solar (formerly Ausra) made a strategic decision to expand its business market beyond independent power production. The company needed to overcome the common perception that solar technology can only generate electricity. The company's next-generation technology can generate steam for use in countless industrial processes, including enhanced oil recovery, food processing and desalination. Developing a comprehensive earned media plan to reach customer decision makers: senior engineering staff of companies that rely on "process" steam at their industrial plants. Working with AREVA Solar's engineering and project development staff to craft a message explaining the cost-savings and reliability of the company's innovative solar technology to generate steam. We then worked to integrate that message into AREVA Solar's overall marketing strategy. Creating a matrix of editorial calendars for the most effective trade publications to reach industries identified as potential AREVA Solar customers. Launching an ongoing program to spot opportunities for presenting and exhibiting AREVA Solar's process steam technology. To run this program, we created a calendar of the conferences and trade shows that potential AREVA Solar customers attend. Pitching process steam technology stories and the launch event of AREVA Solar's Kimberlina demonstration plant to targeted industry trade publications. 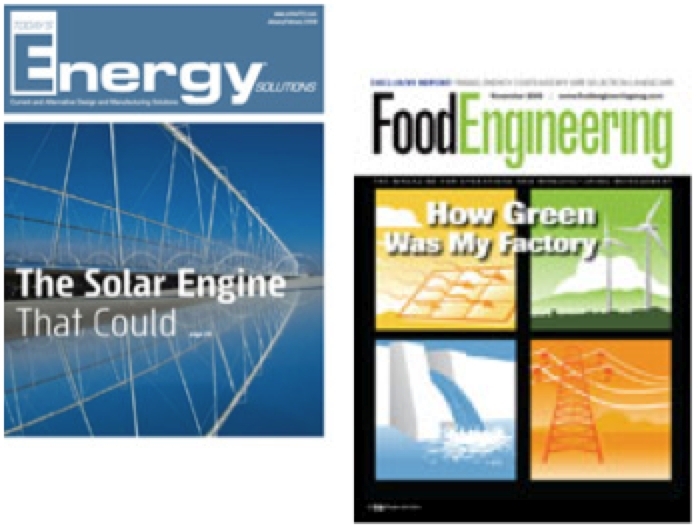 AREVA Solar’s process steam technology was featured in cover stories in Today’s Energy Solutions and Food Engineering, as well as Fortune (“Solar power: Not just for electricity,” 10/23/08) and Inventing Green (“The Return of the Make-Your-Own Steam Age,” 2/6/09). We also secured coverage of ASME’s award of “S” Stamp certification to AREVA Solar’s boiler technology in Mechanical Engineering and Process Heating. AREVA Solar also presented its process steam technology at Intersolar North America 2008, Solar Power International, Renewable Energy World, Venture Summit Silicon Valley, Power-Gen International, World Future Energy Summit 2009, CERAWeek2009, and RETECH 2009. AREVA Solar’s Kimberlina plant, where its process steam technology is tested and demonstrated, was selected as a finalist for Power Engineering's 2009 Renewable/Sustainable Energy Project of the Year award. "Tigercomm is not just a vendor. They are a strategic business partner, and they provide a valuable competitive advantage for us by effectively delivering our message to customers, investors and policymakers." Tigercomm has a proven track record helping cleantech companies and leaders achieve big results, generating attention in mainstream and online media that connects to investors, customers, government and voters.